It seems fitting that today, the day to be thankful and the day to share in an abundant meal, we should be thankful for our food. We tend to lose sight of the real meaning of Thanksgiving, a day to give thanks. 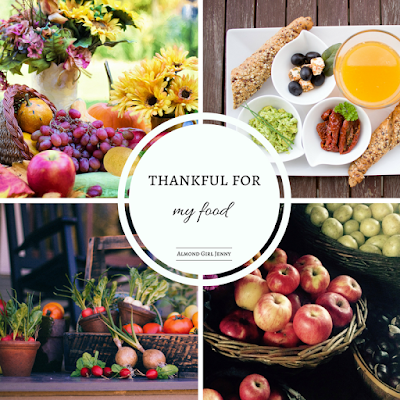 It isn't just a day to consume large amounts of food, but to appreciative and be thankful. All too often, we tend to take our food for granted. I am thankful that we go to the grocery store and what we want is there. The fact that we can find fresh produce at the grocery store all year round is not because they are grown in America all year round. It is because we rely on growers all over the world to provide for us in the off seasons. I am thankful to live in a state that has the highest food safety standards in the world. As a farmer, this can be quite challenging, but as a consumer I know what I am eating is safe. In other parts of the world they do not have such high standards that growers have to abide by. Specifically in California, we have the more stringent food laws and regulations and I know what I am eating is safe. I am thankful for the abundance of food options we have. America is the land of opportunity and diversity. With that comes people of all different backgrounds. This has given American the opportunity to offer such a diverse and eclectic food supply. The diverse options of fruits, vegetables, breads, or proteins that you can find here are really thanks to the diversity of America and the demand for such a eclectic food supply. I am thankful for the ability to have access to and rely on our food supply. There are so many places and outlets for those with little to no income to still have access to a food supply. From soup kitchens, food banks, homeless centers, churches and even government programs all offering assistance to a safe and reliable food supply, this country makes sure we all have options. Today and during the holiday season there are so many opportunities to donate to those less fortunate to ensure we all can be thankful to live in a country with an abundant food supply. Happy Thanksgiving. I hope your day is filled with love, happiness and thankfulness.